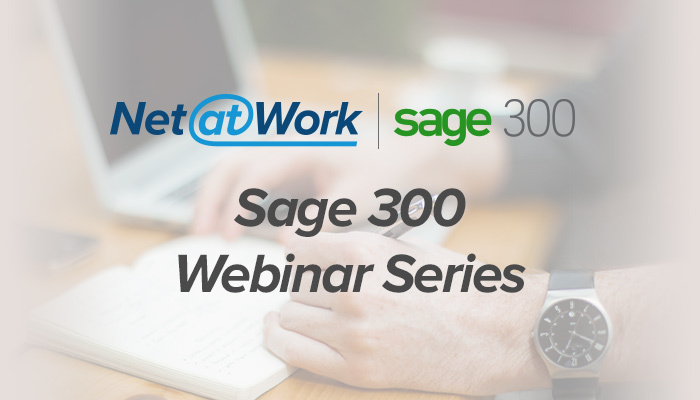 Register for one of our upcoming Sage 300 (Accpac) webinar topics. Automate your inventory management process - Locating your inventory - what is it really costing your company? Is your company being left behind with Manual processes? Unleased the power of Sage 300 with Extended Configurations. This session will show you how to make your business system smarter by adding the ability to alert people via email or Orchid Notes when field values change, add security at a field level to ensure only the correct people see data they are approved to see and the ability to report against any changes in the database to get a smarter more secure system. AND/OR Looking to extend the functionality of your Sage 300 system but can’t find an appropriate product solution? Customization is a viable option whether you need a simple feature extension, integration to external systems including web-portals or a full blown vertical industry solution. This session will help you consider some cost-effective options. Payment Processing - Going Electronic will save you money. All companies need to manage and protect their cash and are always looking for a great ROI for the investments that they make. The Orchid EFT solution for Sage 300 allows you do do all 3. Join us for this session to understand the impact EFT can have on your organization.